The Bruins returned to the TD Garden after a lengthy road trip that ended well, but was mostly unsuccessful. They welcomed the team they started their road trip with, the Vancouver Canucks. In the first period, Boston wasted no time scoring first when Daniel Paille broke his seemingly endless scoring drought with his first in thirty-seven games. 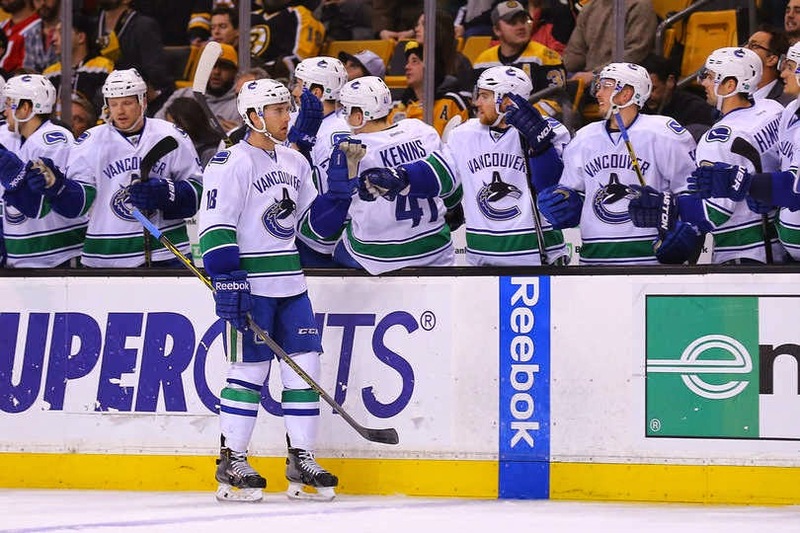 Vancouver responded quickly with a goal by Ryan Stanton off a bad David Pastrnak turnover. Both teams traded chances for most of the period, but neither were able to break the tie. The Soderberg-Eriksson-Paille line continued to put great pressure on the Canucks, but were not able to finish. The second period started with scoring chances for both teams. Three minutes into the period, the Bruins got their first power play of the game. Boston was able to get some shots on net, but could not beat Canuck goalie Eddie Lack. The Bruins got another chance on the man advantage when Patrice Bergeron drew a hooking penalty from Daniel Sedin off a net drive chance. Boston continued to pepper Lack, but couldn't put one past him. Vancouver got their first PP chance from a questionable call on Milan Lucic. The Bruins killed the penalty and then nearly scored, but the play was quickly blown dead when Eddie Lack lost his helmet. Tuukka Rask made some very strong saves in the period keeping his team tied. Late in the second, the Bruins got their third power play chance when Reilly Smith was tripped by Eddie Lack. The Bruins started the third period on the man advantage, but could not capitalize. Nearly four minutes into the period Reilly Smith has a great chance in front and did not get enough on it to score. Lack had already faced thirty shots at this point and played tremendously. With almost seven minutes played, Zack Kassian scores on a great shot right under the cross bar to give Vancouver its' first lead of the game. More than halfway through the period, the Bruins got another PP and yet again could not take advantage. Rask was pulled with nearly two minutes left and the Bruins had some good chances. But Eddie Lack continued to be the difference for his team and Vancouver sneaked away with a 2-1 victory.